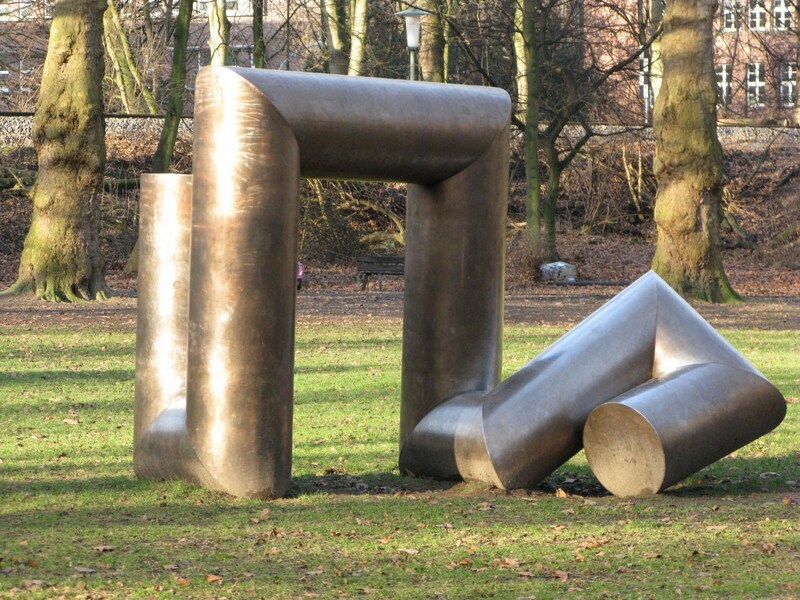 The Hanover Gate was the first sculpture to be erected - in early 1982 - at the Moltkeplatz. The warm hue of the originally "cold" stainless steel structure was induced by annealing the sculpture in an industrial annealing furnace. Friedrich Gräsel considers the imprints of the leather gloves of the workers handling the sculpture to be the "signatures" of those workers. More about this sculpture and about the sculptor here.